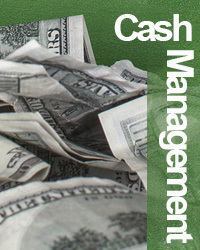 Cash Management, operations, and sales personnel (especially those new to Cash Management), deposit sales team, business bankers/lenders, technology personnel (IT network support and core system support staff), presidents and COOs who want to learn more about Cash Management. After attending this one-day workshop, you will walk away with a deeper knowledge of Cash Management, gain ideas from the other participants on how to implement the products and services your clients expect you to offer, conduct a risk assessment on any new products, and bring back strategies to your bank on how to market Cash Management products and services to your business clients to increase fee income. In addition, your team will also work better together knowing how critical each area is to the success of the implementation and sale of these products and services. In this seminar, you will learn what you should really be trying to explain with ratio analysis. In addition, you will practice how to integrate ratio analysis and cash flow analysis into a complete and useful story. In short, you'll learn to improve your credit analysis skills. Marci Malzahn is the president and founder of Malzahn Strategic, a community bank consultancy focused on strategic planning, enterprise risk management, and talent management. Marci has 23 years of banking experience, the last ten as the EVP/CFO/COO of a community bank she helped start where she oversaw all the bank operations areas. In her last year as EVP/COO/CRO, Marci created and focused on the bank’s enterprise risk management program. Marci is the recipient of a number of professional awards, is a published author of three books, and an international bilingual public speaker, speaking frequently at banking conferences and associations as well as leadership and women’s conferences. Marci holds a B.A. in business management from Bethel University and is a graduate of the Graduate School of Banking in Madison, Wisconsin.